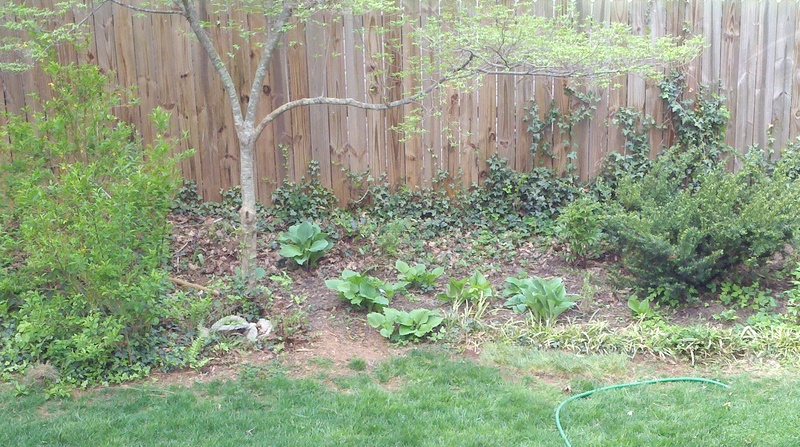 Here in this shady little corner of my backyard there are a few random hostas and some ferns growing underneath a dogwood tree. 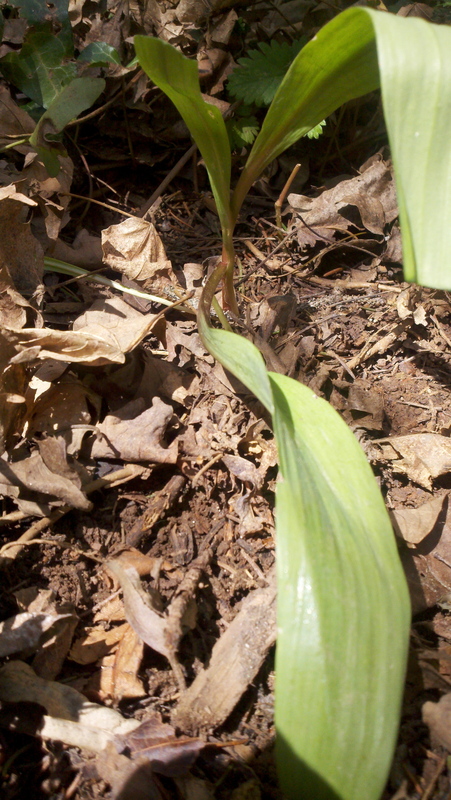 I had totally forgotten that I’d also planted some ramps back in there somewhere last spring. Then, a few nights ago we met our friend Brook out for pizza. He brought us some ramps he’d harvested with his dad at their home over in in Clay County. 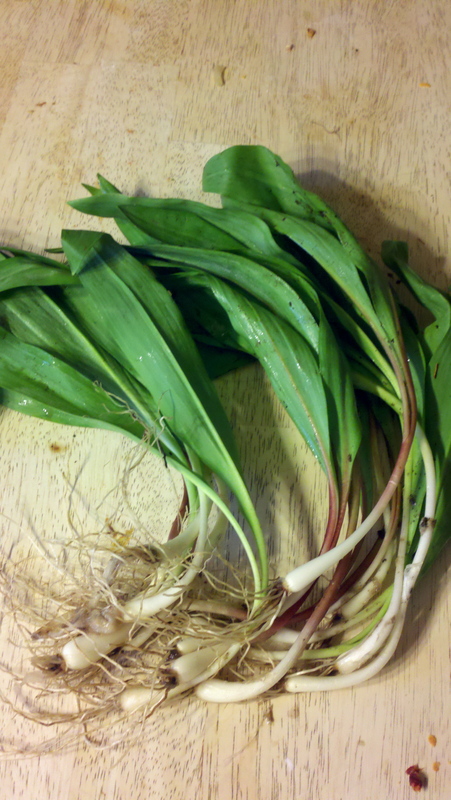 We were eating these ramps along with our pizzas when the taste sparked a memory that I’d planted some last year, somewhere in the yard. I just couldn’t remember exactly where. I’d planted them because our same friend had given us some, and I just wanted to test and see if I could get some of them to grow — ramps are pretty particular about the kinds of conditions they like, so I was feeling the challenge to get them to grow here. The more I ate, the more that pungent garlicky-onion taste made me remember that I’d planted them in the only really shady, damp and leafy spot we have in the yard. 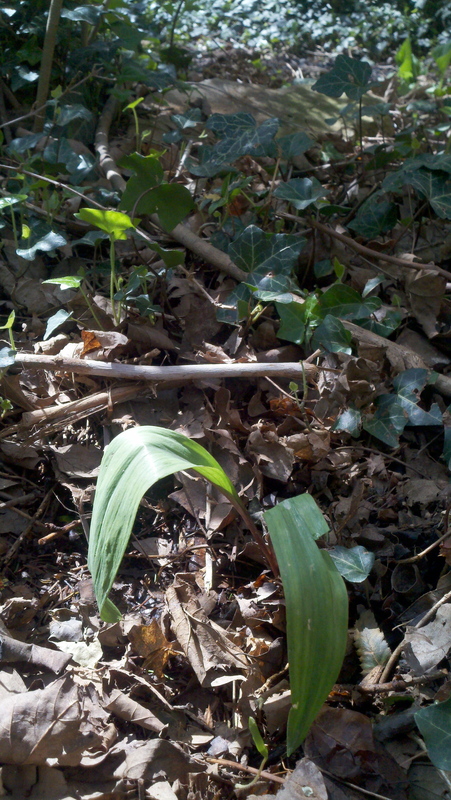 But strength aside, ramps are an absolute delicacy to me. I’ve been ramp hunting with the Wood family over near their home in Clay County, and the process of finding them is just as fun as eating them. There’s definitely ritual — look at all the ramp festivals each spring this year running up the spine of the Appalachians. Winter is really gone!! Now, the ramp patch going in our backyard is tiny. Hardly even big enough to call a patch. I googled around about harvesting them and found out I need to wait another year till digging some up. I’ll just have to admire them for now, make sure the English ivy doesn’t invade, and — most importantly — put a plant marker back there so I don’t forget where they are next spring. Oh, and for the rest of the ramps leftover from our pizza outing — I’ve got them ready to go to scramble tomorrow morning with eggs from my friend Anne’s hens — thanks yall!